Obituary – Duncan, Clarence Albert « Perry High School Alumni Association, Inc.
Funeral will be at 2 p.m. Friday at the First Baptist church of Perry for Clarence Duncan, 74, long-time Perryan, who died at 9 a.m. Tuesday at Lackey Manor at Oklahoma City. Rev. Stephen Graham, Oklahoma City, will officiate. Burial will be at Grace Hill cemetery under direction of Brown Funeral home. Memorials may be made to the building fund at the First Baptist church or the Alzheimer wing at Lackey Manor. Duncan was born at Heavener, Okla., July 7, 1914. His parents were Walter and Ida May Duncan. He and the former Mallie Moser were married April 19, 1952 at Oklahoma City. 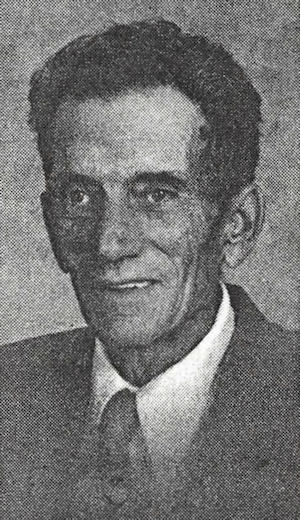 He was an employee of Atlantic-Richfield from 1933 to 1976. He was a member of the First Baptist church and the Masonic lodge. In addition to Mrs. Duncan, of Lackey Manor, survivors include four sons, Marion, of Blue Springs, Mo. ; Kenneth, of Ocala, Fla.; David, of Little Rock, Ark. ; and Rick, of Oklahoma City; six grandchildren, one brother and two sisters.